Over 500 calls in Kerry to 999 take twice and three times as long to respond to in Kerry than recommend by the HSE. Figures released by the HSE following a long investigation by Senator Mark Daly have revealed that every day in Kerry a critically ill patent could be waiting up to an hour for an ambulance. The response time released to Senator Daly show the shocking facts are that in some emergency cases in the county it will take 3 times as long to reach the patient as the recommended target set by the HSE themselves. “In Kerry the HSE removed the 2nd emergency ambulance from Killarney and prior to that they took the emergency ambulance from Millstreet which covered South & East Kerry and Killarney, that is why the response times are so bad” said Senator Daly. 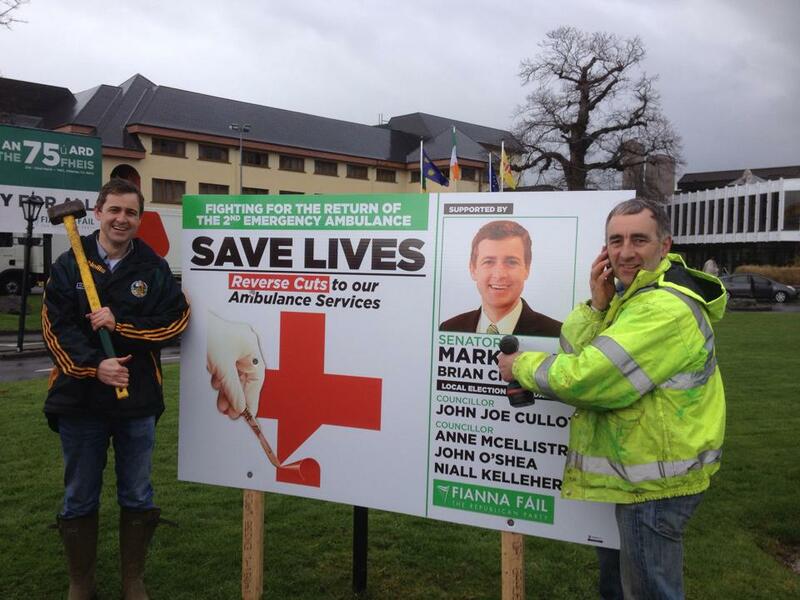 “The decision to remove the 2nd emergency ambulance is resulting in people dying unnecessarily in Kerry, it also means that those who have strokes and heart attacks are not getting treatment immediately, therefore stay longer in hospitals and need more help in recovery and more care in the long term which is costing more in the long run.These figures reveal that the second emergency ambulance must be returned to the Killarney area and to South Kerry immediately, at the moment the HSE is playing Russia roulette with the people of Kerry.